After completing a short program of course work in the first semester, the students will be asked to choose a speciality field, such as mechanical engineering, electronics or overall weapon design. They will then be assigned to a relevant defense laboratory where they will be able to develop their skills through hands-on experience. BIT said it has recruited 27 boys and four girls so far, a gender mix that social justice warriors would consider highly problematic if the Chinese Communists had to worry about such things. One of the male recruits rhapsodized about his lifelong fascination with guns on the BIT website and said he “couldn’t resist the attraction” of the A.I. weapons program. Pauwels imagined the young recruits combining A.I. technology with cutting-edge research in other fields to produce such horrors as nanobot swarms seeding enemy food supplies with chemical and biological weapons, or killer robots that can “target, with surgical precision, specific populations” using facial recognition technology. The Chinese have lately developed a keen interest in targeting specific populations in troublesome regions. 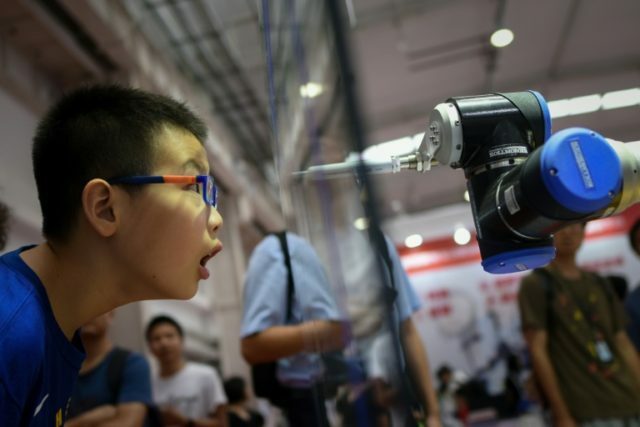 “The fact that China’s AI national strategy is built on a doctrine of civil-military fusion means that an AI prototype for military use could be co-opted and perverted for surveillance or harm in the civilian context,” as Pauwels put it. The Chinese are enthusiastically fusing commercial electronics, espionage, and military programs together, while the free world has a tough time getting Big Tech to work on defense projects at all. There are three particularly disturbing aspects of the coming generation of A.I. weapons: they can execute strategies that would require prohibitive amounts of time and manpower if delegated to humans, they will perform those tasks without hesitation or remorse, and they can execute them so quickly that human commanders will not have a chance to rescind orders with unexpectedly horrific consequences. The world can only hope extensive ethics courses are part of every cyber-warfare training curriculum.